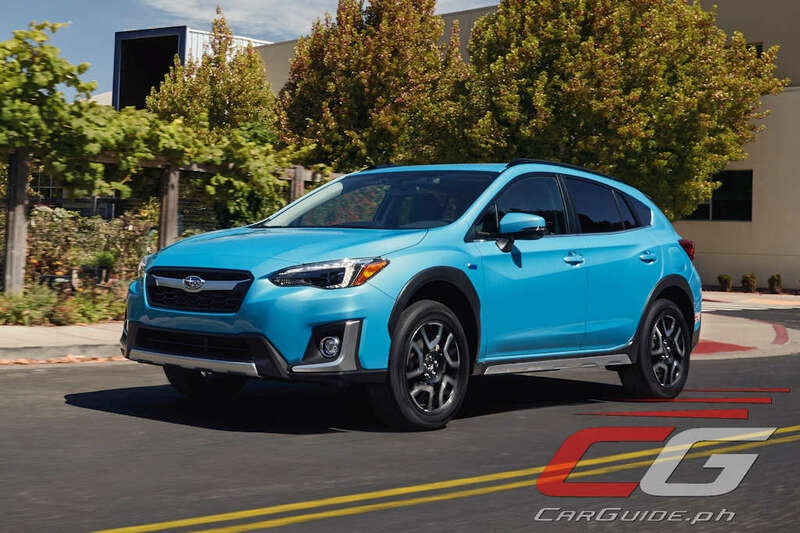 Subaru has finally showed off the brand’s first plug-in hybrid vehicle: the 2019 Subaru XV Hybrid. 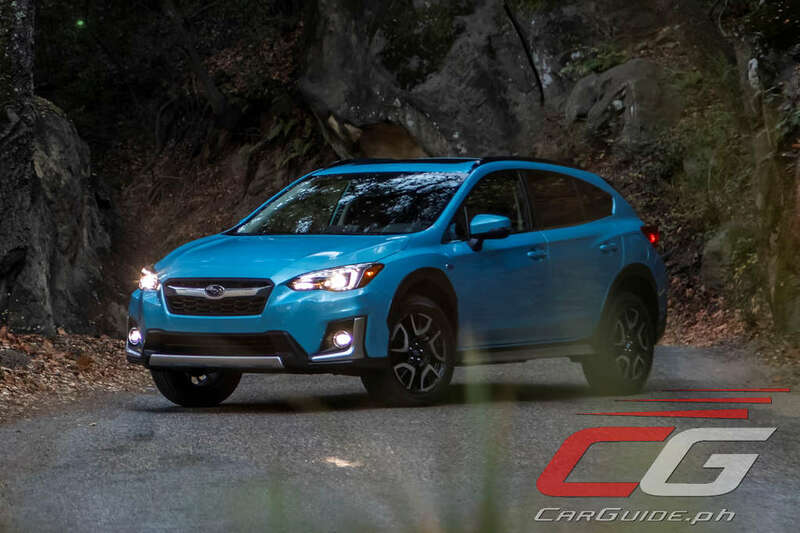 Arriving first for the US market by the end of the year, the Subaru XV Hybrid marries real all-wheel drive capability with a fuel-efficient hybrid package. Not to be confused with the e-BOXER (aka Subaru XV Advance) variant which was already unveiled in Japan, this Subaru XV Hybrid debuts the brand’s “StarDrive Technology.” This system employs 2 electric motors—one that functions as an engine starter (it can also be powered by the internal combustion engine as a generator) and the second that acts as a motor during hybrid and electric driving modes (it also charges the first battery during regenerative braking). 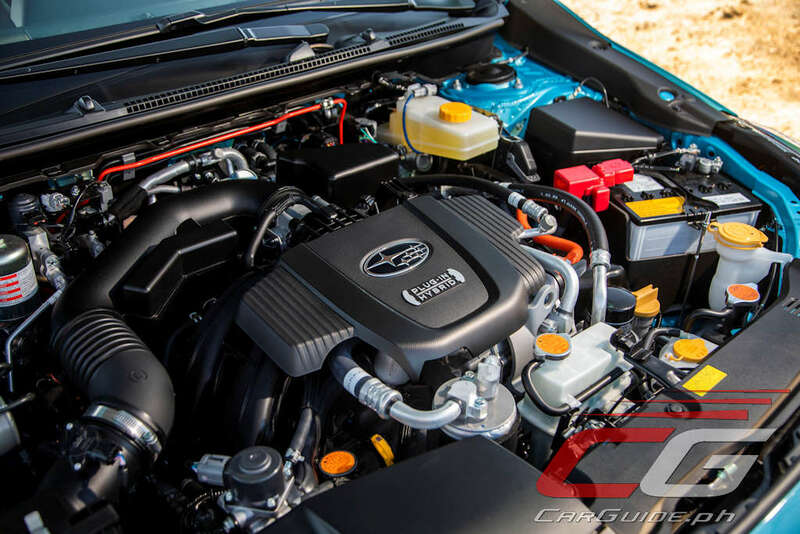 Combined with the familiar FB20 motor, it’s capable of sending the Subaru XV Hybrid a full second faster to 100 km/h than the conventional Subaru XV. This plug-in hybrid version is also capable of speeds up to 105 km/h in full electric mode and returns a range of 772 kilometers (480 miles) on a single tank of gas or 27 kilometers (17 miles) using just the battery. 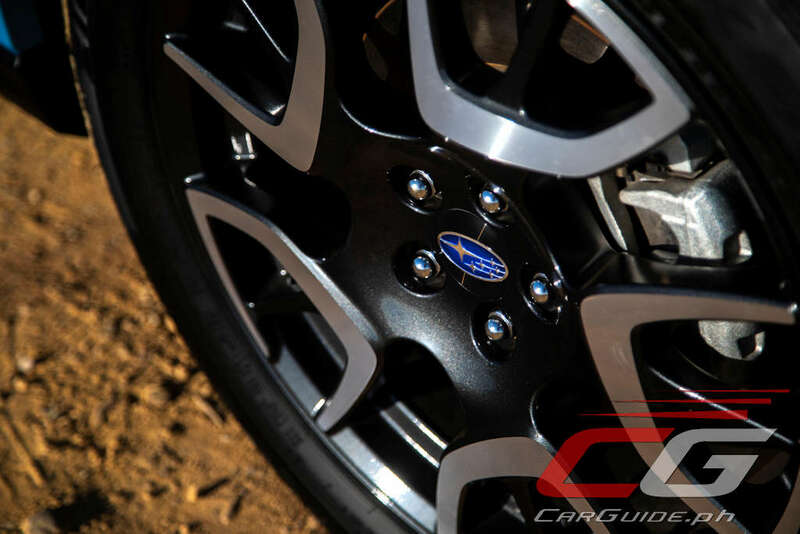 Subaru also developed an electronically controlled brake system for the Subaru XV Hybrid. Braking control has been optimized to distribute braking force between the regenerative brakes and mechanical brakes, thereby maximizing the amount of power regeneration to improve fuel efficiency and extend battery life. 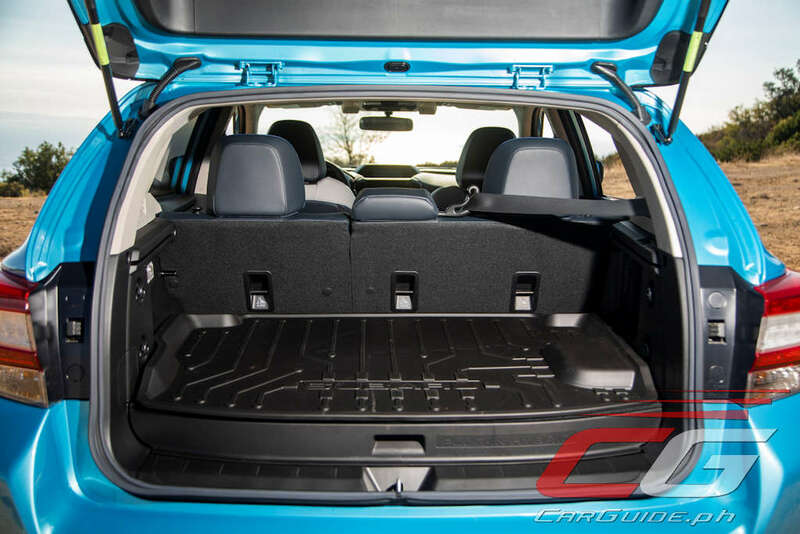 Like the conventional Subaru XV, the Subaru XV Hybrid offers the full gamut of off-road capabilities such as standard all-wheel drive, 220 mm of ground clearance, and 453 kilograms (1,000 pounds) of towing. 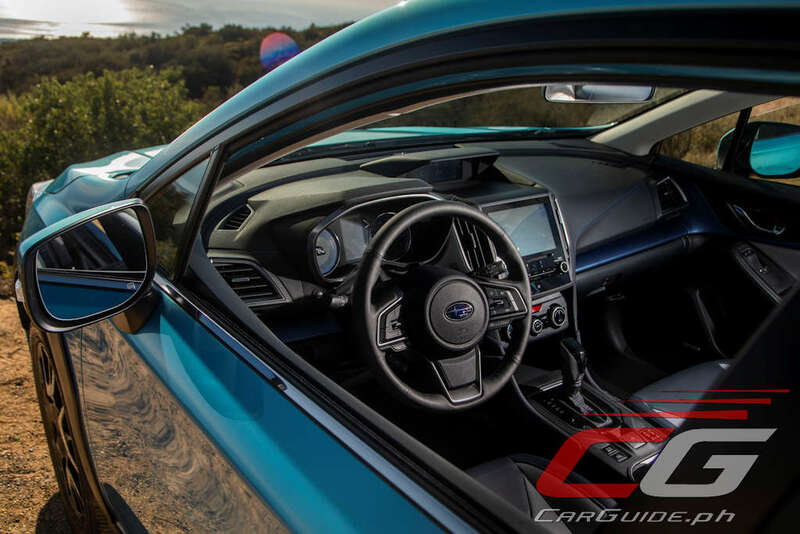 Interestingly, the Subaru XV Hybrid debuts the SI-DRIVE system which allows the driver to tailor the vehicle’s throttle characteristics. Here, there are two modes: Intelligent and Sport. 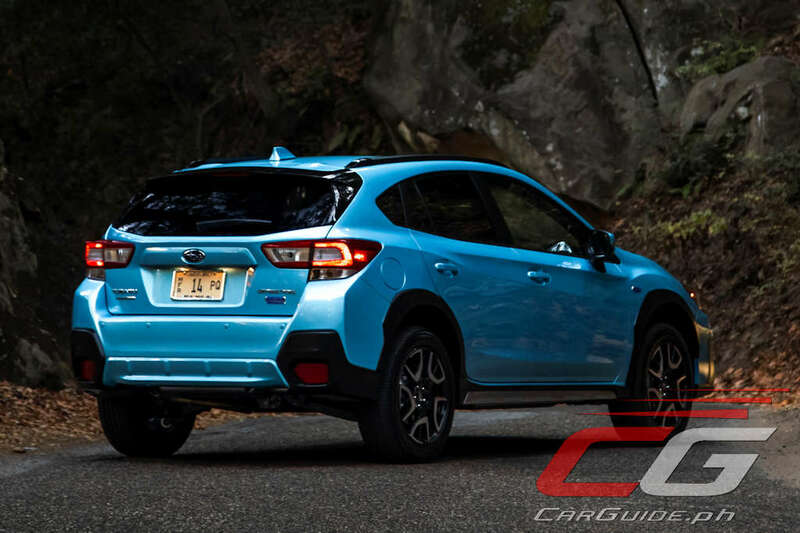 Setting the 2019 Subaru XV Hybrid apart is a new color: Lagoon Blue Pearl. Additionally, it’s distinguished by its blue headlight projector rings and unique silver metallic finish on the front grille, lower front bumper and body cladding, and fog light accents. The low-profile roof rails and spoiler are now finished in black as are the 18-inch wheels. 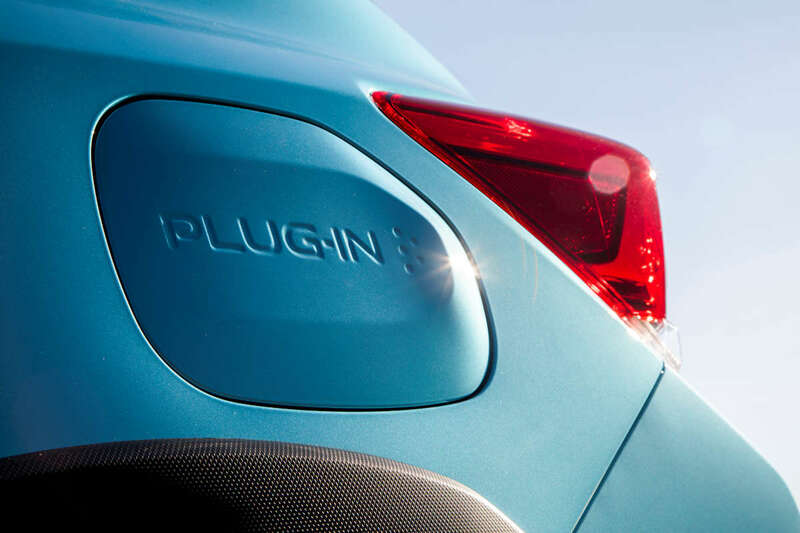 A “Plug-In Hybrid” badge adorns the rear gate and fenders, and “Plug-In” text is imprinted in the charge port door. 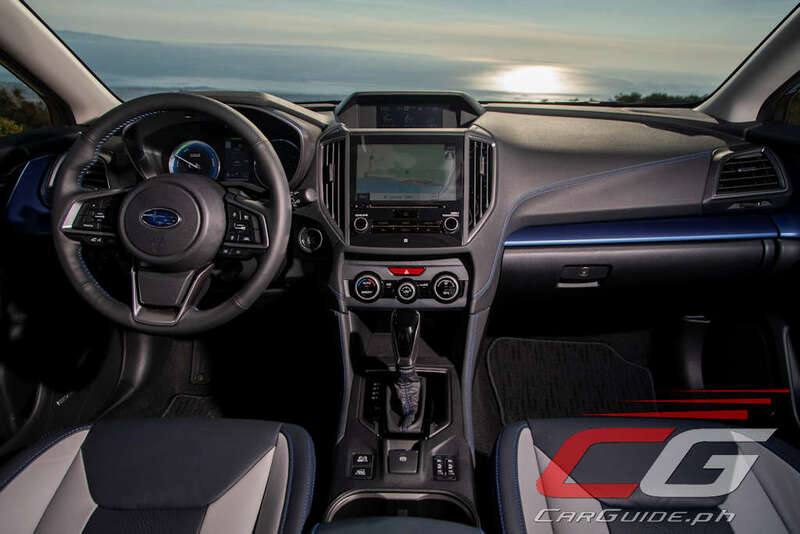 The Hybrid’s interior features exclusive new high-contrast Gray and Navy-Blue leather seats, door panels and armrests. The cabin is complemented with blue stitching and accent panels throughout. Also unique to the Subaru XV Hybrid is a Remote Climate Control and Remote Battery Charging Timer. The vehicle’s climate control can function without starting the engine, so it can warm up or cool down even when garaged. The Remote Battery Charging Timer allows a user to manage the vehicle charging schedule and monitor its status. Naturally, the Subaru XV Hybrid also comes with EyeSight—Subaru’s suite of driver-assist and safety features as standard.